Visions of fictional cities – whether optimistic, realistic, fantastical or dystopian – tend to take on a haze of mystery and grandiosity in Japanese anime, as epitomized in ‘Ghost in the Shell.’ Dark jumbles of nearly-identical skyscrapers lurk over the protagonists in futuristic metropolises, often emphasizing feelings of desolation, industrialization and technology run amok. 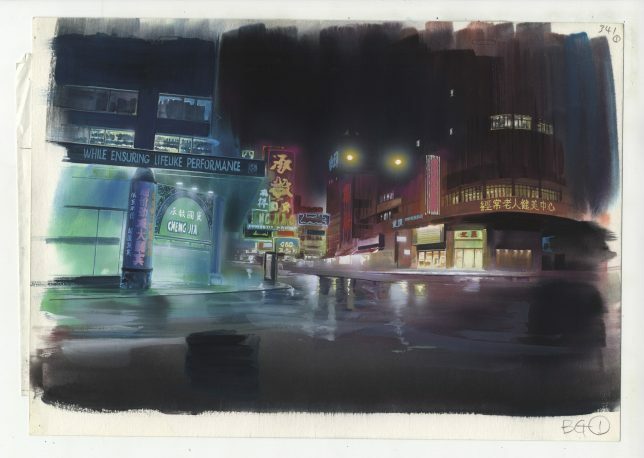 If you’ve ever sighed over a particularly incredible work of fictional architecture, you might be interested in an exhibition currently on display at London’s House of Illustration. 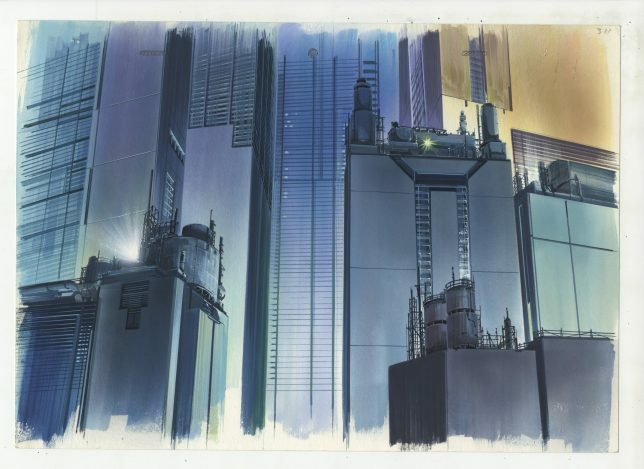 ‘Anime Architecture: Backgrounds of Japan’ is the first UK exhibition of architectural illustrations for classic anime films, featuring over 100 technical drawings and watercolor illustrations. 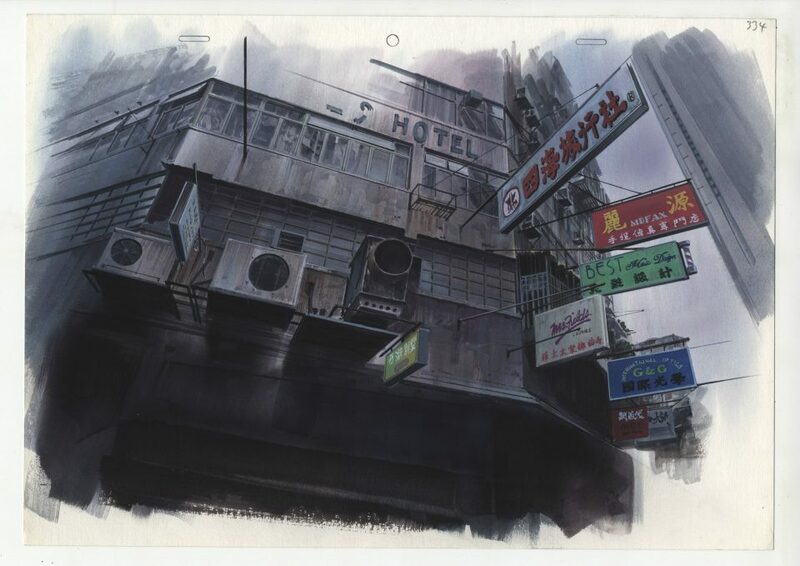 Most of these works come from series that debuted or were most popular during the anime heyday of the 1990s, including Hiromasa Ogura’s paintings for ‘Ghost in the Shell’, Takashi Watanebe’s pencil drawings from Ghost in the Shell 2: Innocence and work from the films ‘Patlabor: The Movie’ (1989) and ‘Metropolis’ (2001) by Mamoru Oshii and Atsushi Takeuchi. 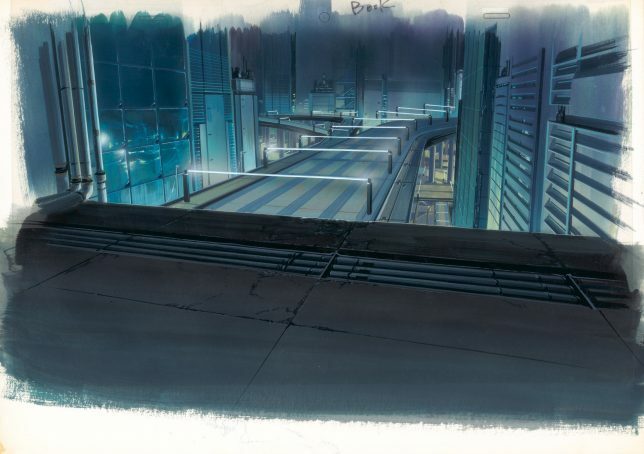 Sure, there are great anime works that came after these with fictional architecture that’s just as beautiful, but these days, artists use computer animation instead of hand-painting the backgrounds. In an interview with It’s Nice That, curator Stefan Riekeles explains that it took quite a bit of nudging and late-night meetings at bars to convince the artists that people would want to see these works outside the context of the films, and that they’d translate well to gallery walls. 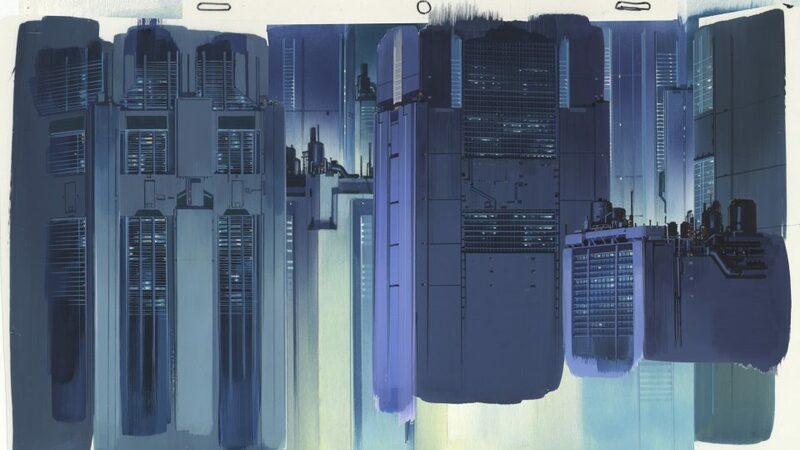 Anime Architecture: Backgrounds of Japan will be open through September 10th, 2017 at the House of Illustration in King’s Cross.